News artical in media 19th January 2019. Commemorations of the greatest seaborne invasion in history to liberate Europe. A Second World War flight display will be staged from IWM Duxford with a cross channel flight and parachute landings in Normandy on 6th June organised in partnership with the ‘group Daks over Normandy’. Ahead of the flight Duxford will host the largest number of Douglas C-47 Skytrain or Dokotas aircraft in one location since the Second World War. \more than 30 Dakotas as well as mass parachute jumps and flight displays at the museum. Featured in NL65 using Hercules and a solitary Dakota. RNSA and RNVR planning progresses. 30 boats and 103 people have indicated interest to their respective Cruising Secretaries. Limited room for more boats and or people but some will drop out as the event gets nearer. Let your Branch know to form a reserve list. Tuesday 4th June 18:00 Informal Pontoon Party for early arrivals. 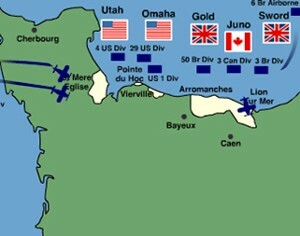 The main civic commemorations will be at Arromanche on 6th. Foundation stone for a memorial to be laid. Saturday 8th June Disperse to Home Ports or continuation cruise. Tall Ships are gathering at Rouen with parade of sail down the Seine on 16th. I would be delighted if you would email Branches with your intentions and estimated numbers (Boat, Type,Length, Draught, Crew Numbers). Once we have these we will negotiate a detailed programme and collect each boat's contribution for the Social Events by Branch, remitting the money to Gosport who will act as Paymaster.